That which can never be created, never changes or dies and is ever independent, in the Spirit. That which can be created, keeps changing with time and is impermanent, is Nature. The spirit creates nature out of itself, and then sustains it, annihilates, i.e merges back into it, and recreates it. This cycle goes on and on...eternally. Normally, the study of the spirit is known as Spirituality and that of nature is called Science. Those who endeavor to understand the spirit, practice spirituality and strive to merge back into it, are known as Spiritualists. Those who explore nature, and harness and use it and its characteristics, are known as Scientists and Technologists. A majority of scientists do not believe in the spirit, while spiritualists never bother to delve into the sciences. Only a fortunate few begin with studying science, but eventually end up in the realm of spirituality. Devotees, who are probably spiritualists in the making, believe in their own concept of the spirit, and look down upon others' perception of it. 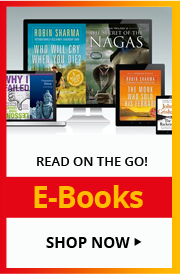 Obviously, there are innumerable versions of the spirit, as also numerous fights - some even bloody - among the 'devotees', each bent on proving the supremacy of the spirit that they believe in. 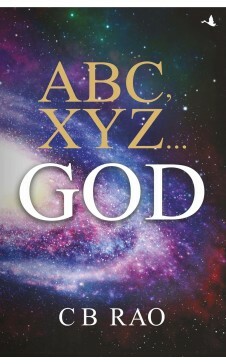 There are countless books on spirituality and the sciences, but ABC, XYZ...God analyzes the subject in a language that any reader can understand, and will be of interest to all - sipritualists; scientists and devotees alike, and might help put an end to all the baseless feuds. Choppalli Bhaskar Rao was born to enlightened, though not highly read, devout Telugu Brahmin parents on 9th July 1945 at Raipur (Chhattisgarh), as the fifth of nine children. He completed his schooling from Bilaspur (Chhattisgarh), graduated in Civil Engineering from Jabalpur University with honours and M.E (Hons.) from Roorkee University (now IIT Roorkee). He retired from Water Resource Department of Chhattisgarh State, as Superintending Engineer. 'God! Hats off to you', which deals with science vis-a-vis spirituality. 'The Hariharnivas Dwivedi Puruskar' from Madhya Pradesh.